The Pakistan-Afghanistan border must be secured to keep terrorists from crossing “at free will,” Pakistan’s ambassador to the U.S. says. 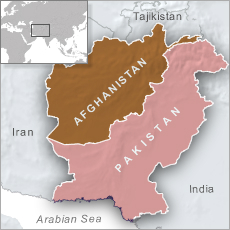 Aizaz Ahmad Chaudhry told VOA Urdu in an interview that the Afghan government’s change in priorities — focusing on protecting urban areas — has given the Taliban and other extremist groups room to roam freely in a growing patchwork in the rest of the country. He repeated Pakistan’s claims that it is not harboring any terror groups despite President Donald Trump’s insistence, as part of his new strategy for the region, that Islamabad must do more to crack down on extremists. Pakistan says recent military operations have chased terrorists from the country. He called for closer cooperation between the two countries’ intelligence agencies and militaries. Pakistan has been building a border wall and has repeatedly closed the main border crossings, shutting down trade between the two countries for extended periods. Chaudhry also called for cooperation on dealing with Afghan refugees and reconstruction, saying there is no military solution possible for the ongoing conflict there. make noise through their slaves.